Wow! I just realized this is my seventh year participating in this 24 hour readathon. Time sure does fly. 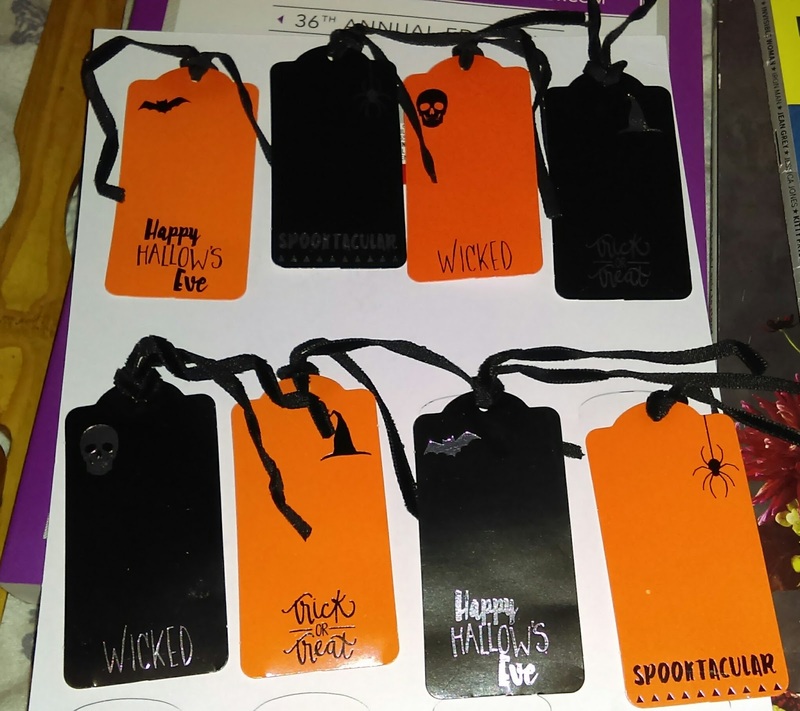 I love the Fall version because I just happen to think spooky reading is perfect for a 24 hour readathon. Scary books keep your blood moving, and that means staying awake (in theory). HaHa! I usually do not start at my official start time which is 7:00am. Not sure if I will this time either. I'll keep that up in the air. Also, as it's Saturday, I will be doing my normal outing with my mom. Lunch and a movie. We're going to see Ouija 2. I love my scary movies! 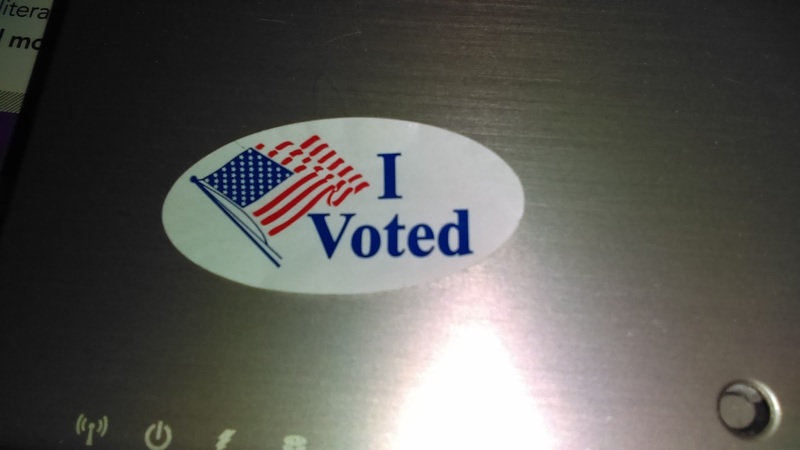 I'm also going to early voting. Not sure when I will be back, but I as soon as I'm home, it's on! Set a timer of 5 minutes to check the challenges/Facebook/Twitter/Instagram so you can get back to reading – when you are done, move your phone to another room or at least out of sight. These are the books I'll be choosing from. All horror! 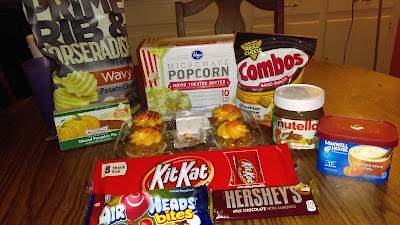 I went all out this time with snacks! A wide array with pumpkin well-represented (pumpkin latte mix, Krispie Kreme pumpkin pie, pumpkin spice cupcakes...yum!). Not sure how much I will update, but if I do, I'll use this post. No need to make it sticky, as I don't plan on posting anything else here this weekend. How about you? Are you participating? What are your plans? 2) Which book in your stack are you most looking forward to? Hmmm, that's a tough one. Probably The Jersey Devil or The Awakening. 3) Which snack are you most looking forward to? The pumpkin pie! 4) Tell us a little something about yourself! I'm a mom of two teen boys, I'm writing my first novel. I love cats. I'm the owner of a massive home library...3000+ books. 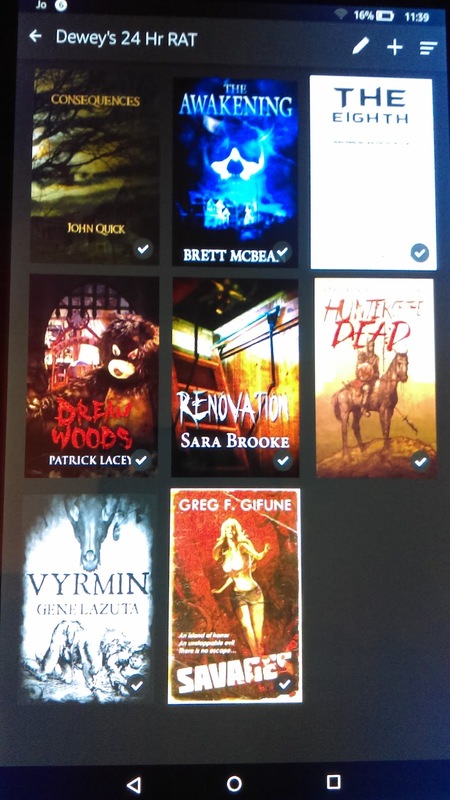 I love horror novels and movies...my sister blog is a horror blog. Castle Macabre. I'm a Christmas fanatic and have a blog dedicated to that...Christmas Spirit. I host 4 readathons and 2 special readathons yearly at Seasons of Reading. I only did some brief reading this morning...really nothing to talley...because I had to get ready for my Saturday outing with mom. 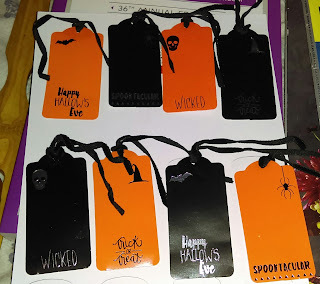 We went to lunch, stopped at Target to pick up some birthday presents for my son (and I snagged some cute Halloween tags to use as bookmarks - see pic below), I voted (Yay!) and then we went to see Ouija: Origin of Evil. Pretty good. Not as scary as I thought it would be. I loved the first Ouija movie. I've probably watched it at least 20 times. This one did have a good story and it helped explained what led to what happened in the original. So, pretty good. 1. What are you reading right now? Trying to finish up a section of Salem's Lot for my read-along, then it's Lovecraft's The Dunwich Horror and Poe's The Pit and the Pendulum. 5. What surprises you most about the Read-a-thon, so far? No surprises so far. 2. Could you list a few high-interest books that you think could keep a Reader engaged for next year? 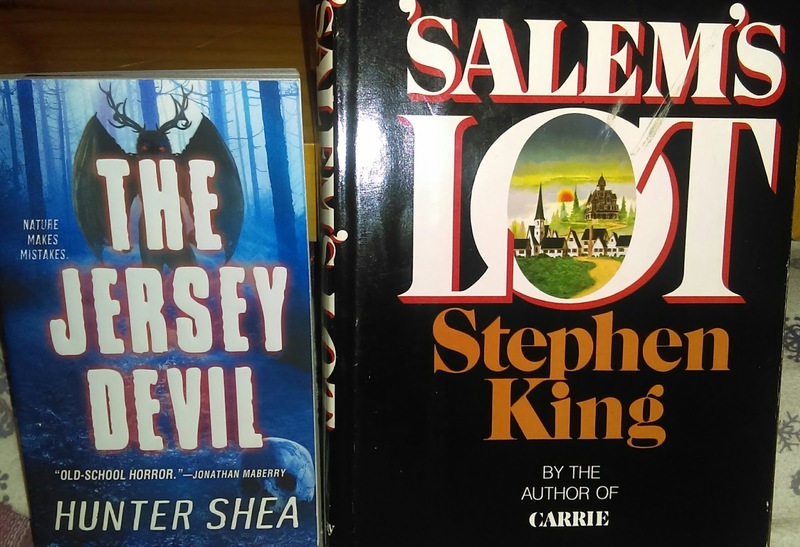 Definitely Salem's Lot and I recommend horror short stories as well. 4. What do you think worked really well in this year’s Read-a-thon? I loved the genre polls! 9. How likely are you to participate in the Read-a-thon again? What role would you be likely to take next time? I'm sure I will participate next time. I can't resist readathons. I will be a reader again. Good luck today! I am just getting started this morning. I'm doing a quick 5 minute check-in, then I'm off to read! I was so bummed to miss Dewey's this fall! Come spring, I'm not letting anything else get on my calendar on that day. If you got 9-10 hours of reading done, it's still probably more than you might have otherwise so that's a win, right?